Welcome to The Otorhinolaryngologist. I hope that once you have perused the articles on offer you will feel it is a worth while addition to your annual subscriptions. As you are probably aware, the journal has risen from the ashes of what used to be CME Bulletin. That journal had managed, over its ten-year existence, to provide not only educational but also appropriate political output. As the last century drew to a close, however it was apparent that more drastic changes were in the offing. This has culminated in the current frenetic pace of disassembling that everyone involved in medical education and/or the NHS is now exposed to. It is in this climate that I have taken over editorship of the journal with a feeling that we need to cater for the needs of our trainees in a more structured and detailed fashion. 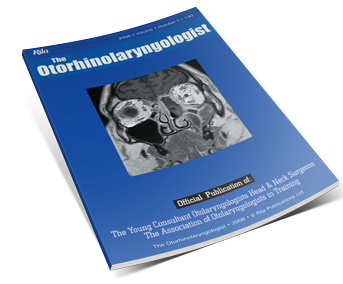 To this end, readers will find more in depth reviews appearing in each edition of The Otorhinolaryngologist. The aim is to provide a journal, which can sit on the shelf next to the more revered textbooks and be used as a reference source for many years to come. The mandate of the journal is to address the needs of senior trainees coming up to the exit exam and consultants wishing to remain appraised of new developments in ENT both within and without their specialist areas. Fungal sinus disease represents a spectrum of five different clinico-pathological entities, each linked by a common process of sinonasal inflammation secondary to fungi. Fungal sinus infection can be classified as invasive or non-invasive. The diagnosis is usually made by a combination of CT, histology and mycology features. Each type of fungal sinus infection has an individual clinical presentation, prognosis and options for treatment. Invasive infection typically occurs in an immunocompromised host and is characterised by histological destruction of tissue. Mortality rates remain high, and early detection and treatment are vital. Non-invasive fungal infections are classically more indolent and patients are usually treated for extended periods as chronic sinusitis before the condition is recognised. This review covers the diagnostic management of patients presenting with a parotid mass and the management of benign salivary gland tumours. Parotidectomy for benign tumour resection is a relatively common operation. However, the consequences of sub-optimal management can be disastrous. Surgery for chronic rhinosinusitis and nasal polyposis is performed by a large number of ENT surgeons worldwide. Sinonasal surgery is associated with the potential for serious complications and minor complications are relatively common. Therefore, the risks of adverse events, although small, should be minimised where possible. This review addresses both pre- and peri-operative steps that may help to do so. Should complications occur, early recognition and management may prevent long-lasting disability, and this is discussed. Epstein –Barr virus (EBV) infection is the cause of infectious mononucleosis (IM). Many drugs have been investigated in the management of IM including antibiotics, steroids, aciclovir and H2 blockers. The aim of this paper is to review current knowledge in the evidence based management strategies of primary EBV infection, with special emphasis on the use of antibiotics and steroids. Does the lunar gravity influence epistaxis presentation? Spontaneous epistaxis aetiology is not fully known. Previous studies have examined whether meteorological/ environmental factors may influence epistaxis presentation. Our aim was to show whether lunar gravity has any correlation with epistaxis presentation. First aid in Epistaxis: Are we managing it correctly? Objective: Previous studies have shown that knowledge of standard first aid is poor in both trained hospital staff and the general population when dealing with epistaxis patients. This survey’s objective was to find out whether traditionally recommended first aid measures were being correctly applied by A&E staff in the initial treatment of epistaxis. A national survey of tracheostomy care policy was undertaken. Information was gathered from 127 acute hospital trusts in England. 103 of these trusts care for patients with tracheostomies. Of these 15 (14.6%) have no tracheostomy care policy in place. The remaining trusts use external guidelines. 88% of trusts arrange for staff to attend tracheostomy study days. Advice on tracheostomy care comes from a variety of sources including ENT surgeons, ENT nurses, speech therapists and ITU staff, however only one quarter of trusts have a designated tracheostomy nurse specialist. Although 31% of trusts surveyed have a tracheostomy care team, the composition of such teams varies considerably. Members include nurse specialists, physiotherapists, speech therapists and consultant anaesthetists but few consultant ENT surgeons (12.5%). Spontaneous retropharyngeal haematomas are rare but can be associated with serious airway compromise. We report a case of a spontaneous retropharyngeal haematoma associated with a minor preceding cough. The clinical features and management of this condition are discussed. A case of spontaneous cerebrospinal fluid (CSF) otorrhoea in a 59-year-old lady is reported. The patient was initially diagnosed and treated for chronic otitis externa. Following the referral by her GP, it was found that her symptom of otorrhoea was secondary to cerebrospinal fluid leak with middle ear encephalocoele. The CSF leak was repaired using a transmastoid approach with fascia, bone paté and fibrin glue. In this paper, we describe an unusual case of spontaneous CSF otorrhoea presenting as otitis externa. We review the pathophysiology of spontaneous CSF otorrhoea, and discuss the pitfalls in the diagnosis of CSF otorrhoea. Intranasal foreign bodies are common and can penetrate the skull base. Transnasal endoscopic management of cerebrospinal fluid (CSF) leaks has become the treatment of choice for most anterior cranial CSF leaks. We present the endoscopic management of a transnasal penetrating injury of the anterior skull base. This has not previously been described in the literature. The University of Dundee recently hosted its 6th Basic science for otolaryngology course in April of this year. The course is targeted at Specialist Registrars and post MRCS Senior House Officers and aims to provide a review of the basic sciences as applied to Otolaryngology and to touch on recent advances in the field. 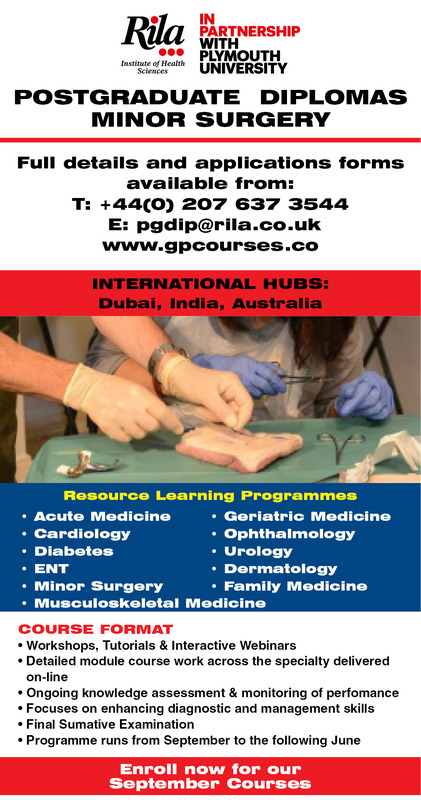 Pre-assessment clinics for elective surgical patients are commonplace in many surgical departments throughout the UK. They are reported to help hospital trusts save money, address patients’ anxieties regarding their surgery in advance of admission and flag up any potential anaesthetic problems that might preclude surgery. We describe a closed loop audit of this service in the setting of a district general hospital providing a general ENT service. After a change in practice increased numbers of patients were pre-assessed. Cancellation rates and the need to perform ‘urgent’ investigations following admission were concurrently reduced. In our experience patient pre-assessment is useful in achieving these goals. A number of other advantages are also highlighted. This is a very common condition seen in ENT practice seen at all levels but can be one of the most challenging to both treat and answer questions on for the exam!! There have been continued changes in the general view concerning this condition and it is a subject that many books can potentially make more confusing than necessary. Spearheading these changes are the formation of ARIA (Allergic Rhinitis and its Impact on Asthma, WHO 2001) and the publication of the EP3OS (European Position Paper on Rhinosinusitis and Nasal Polyps) document leading to greater consistency.